Federal Reserve officials have indicated that they will support a pause in interest rate hikes from the US central bank to assess its impact in economy. US consumer prices were unchanged for a third straight month in January, leading to the smallest annual increase in inflation in more than 1-1/2 years, which could allow the Fed to hold interest rates steady for a while. Gold prices rose on Wednesday on more signs the US Federal Reserve will likely be patient on further interest rate rises, but rallying global equities kept the metal's gains in check. Spot gold was up 0.2 percent at $1,313.31 per ounce as of 11:19 am EST (1619 GMT), while US gold futures also gained 0.2 percent to $1,316. "It appears that the Fed is really going to be much more dovish going forward on their expectations on interest rates," said Phil Streible, senior commodities strategist at RJO Futures in Chicago. "The Consumer Price Index could have added a small impact, inflation seems to be muted right now and as a result gold continues to rally on that." "A jump above $1,325 could trigger a new climb," said ActivTrades chief analyst Carlo Alberto De Casa. "Otherwise, this lateral move could continue while investors wait for news on the China–US trade talks and other macroeconomic data, confirming (or not) the economic slowdown forecasted for 2019/2020." US Treasury Secretary Steven Mnuchin said talks with China went well on Wednesday, as the world's two largest economies try to hammer out an agreement. 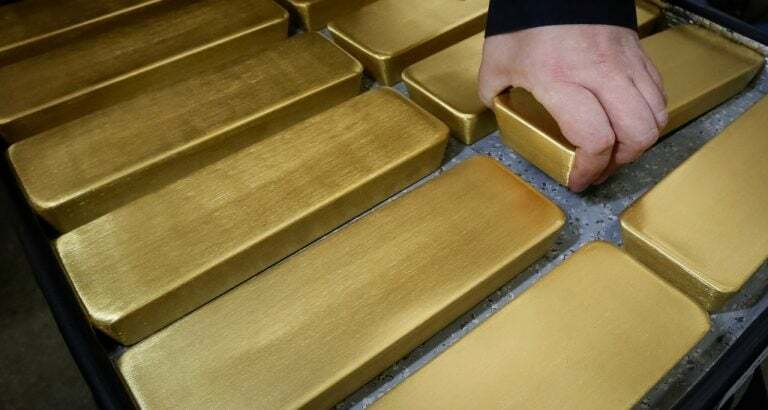 "This reflects an improving sentiment in financial markets overall, which is a little bit of a drag on gold," Julius Baer analyst Carsten Menke said. Elsewhere, palladium slipped 0.2 percent to $1,400 per ounce. Platinum was down 0.4 percent to $783.50 an ounce, while silver was unchanged at $15.70 an ounce.